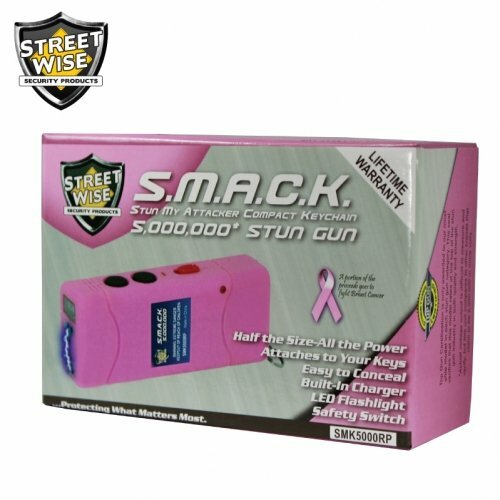 The Street Wise Smack stun gun is the ultimate in concealable protection. 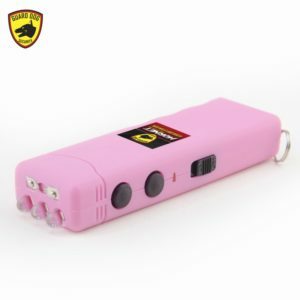 With 5 Million volts available at any time, this stun gun has plenty of stopping power. 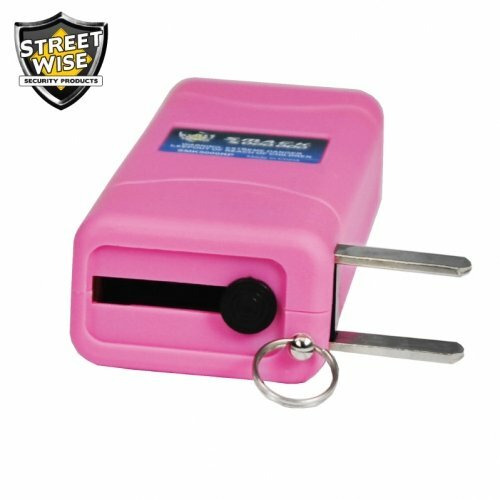 It is 50% smaller than most other stun guns and can easily be attached to your keychain. Perfect to keep your protection on you at all times. 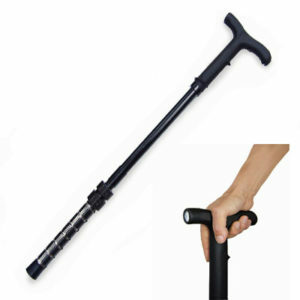 Great for carrying on walks, going to your car, or when you’re out late at night. Take control of your protection and get the ultimate, concealable Smack. 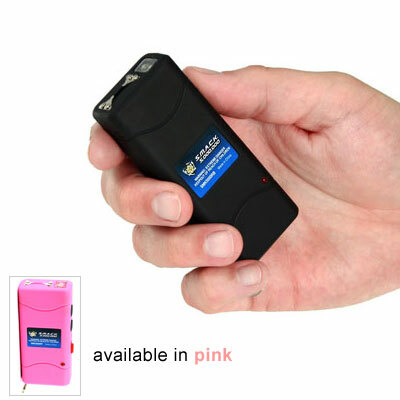 Stop worrying whether you have the stun gun with you or not. Fit this on your keychain and it will be ready to protect you wherever you go. 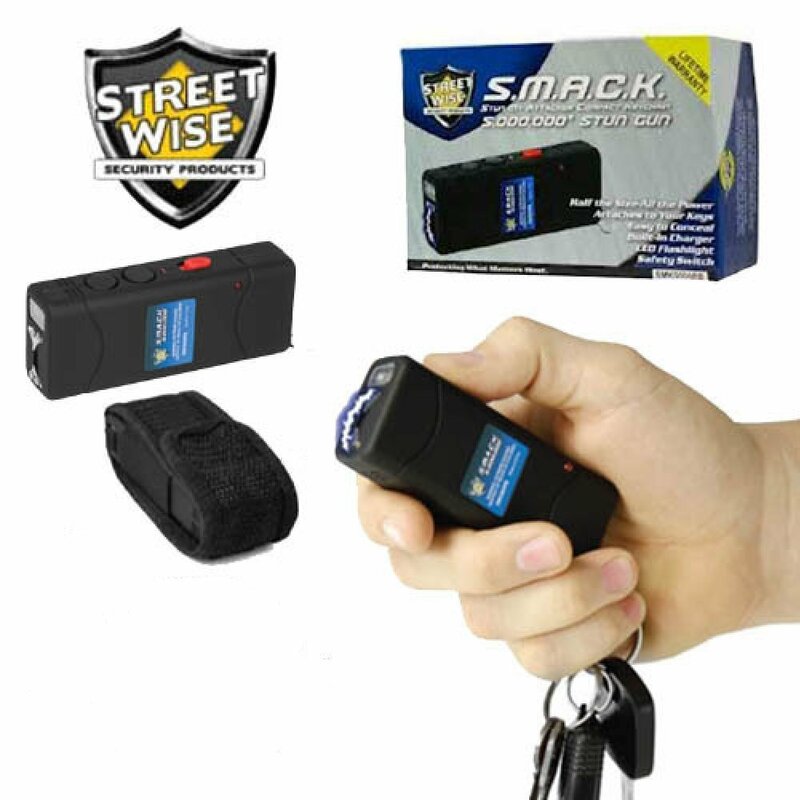 The SMACK 5 Million Keychain Rechargeable Stun Gun is the perfect self defense device to have on hand as it can be attached to a person’s car keys or house keys with ease. Now you don’t have to worry about digging to the bottom of your handbag or backpack for your safety device when you need it the most. Instead, you can rest assured that when walking to your house or car to open your door your safety is in safe hands at all times. Size does not mean everything, as is the case with this device. 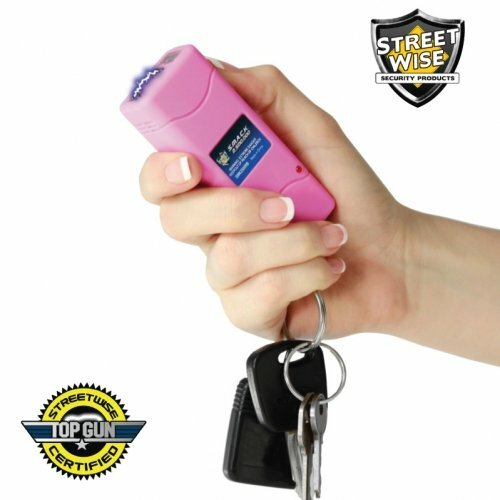 Even though the SMACK 5 Million is 50 percent smaller compared to most stun guns on the market, it’s one of the most powerful. 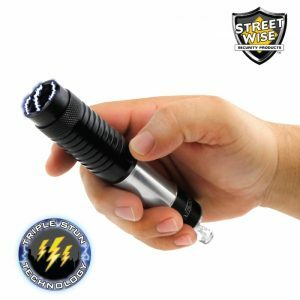 This high power means that if you should find yourself confronted by an attacker you can rest assured that it will instantly stop them; the higher the power, the less time it will take to prevent them from harming you. Of course, simply test firing it in the air is enough to scare them away, which is what you want. It’s no longer a case of making sure you have spare batteries with you at all times. When you need to charge your stunning device simply plug it into a standard wall socket for instant charging. The built-in charger and rechargeable battery makes it easy to charge on the go regardless of where you are and as long as a wall socket is available. It also means you no longer have to worry about carrying unwanted cords, which are sometimes hard to keep up with. After all, you have enough to worry about by staying safe, you don’t need to worry about extra batteries and cords too. 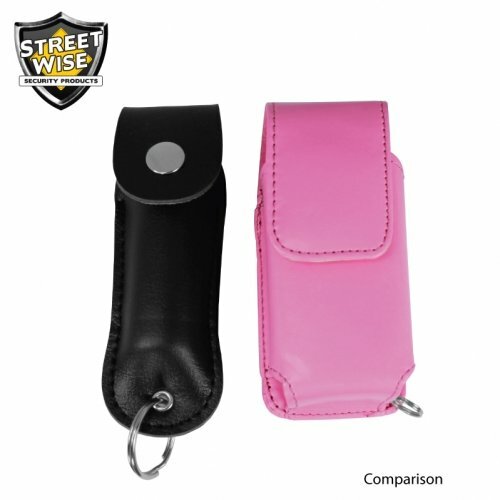 Due to the size of your stunning device it makes it simple to keep concealed until it’s needed. The slim line nature of the SMACK 5 Million means that it can remain hidden in a person’s palm if they should find themselves in an area they are not comfortable with. Or it can easily be slipped inside a person’s pocket without any attention being brought to its existence. 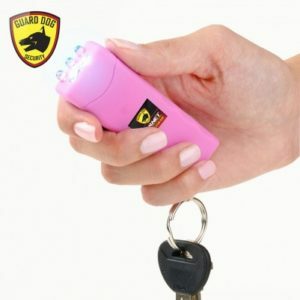 Stun guns are legal in Georgia. Click here to find out whether they are legal in your state. 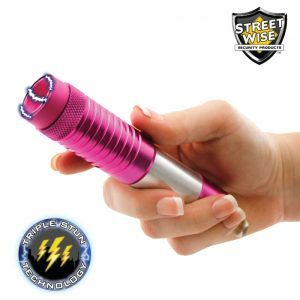 As with many self defense devices on the market, the SMACK 5 Million comes with a bright LED flashlight, thus eliminating the need to carry a bulky light around that will only weigh you down. 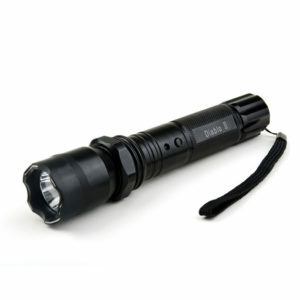 If you should find yourself with no source of light or walking in an area where extra illumination is required then you can rest assured that finding your way will be easy with the devices LED flashlight. Simply knowing that the SMACK 5 Million comes provided with a safety switch is enough to give the owner the peace of mind they require. 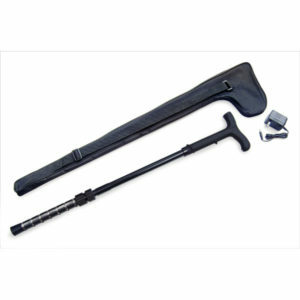 With this on hand there is no need to worry about any accidental firing when it’s not required. 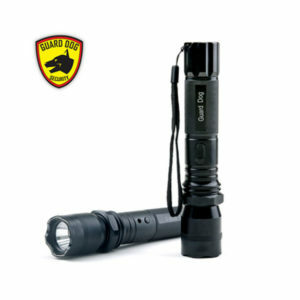 To eliminate the possibility of accidental use, two levels of safety have been built in. Firstly, the safety switch must be in the ON position and secondly, the Stun Activation Button must be pressed before the device will function. This unit comes with a lifetime manufacturer warranty. Customers who experience a manufacturer defect can expect a replacement without any hassle.